In his latest report from the Italian elections, Shamik Das looks at the success of Partito Democratico's primaries, a model Labour might consider emulating. They’re good enough for America and France, under consideration in Germany and even the EU, yet the advance of primaries has stalled in Britain – though a look at how well they’ve served the Italian centre-left may lead the Labour Party, which appears institutionally anti-primary (at all levels), to rethink its opposition. 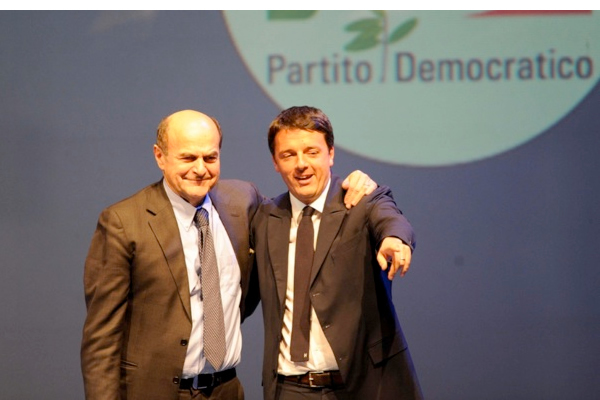 In December, Pier Luigi Bersani defeated Matteo Renzi 60:40 to win the centre-left primary and become the Partito Democratico’s candidate for prime minister. The PD was the only party to organise primaries for its leader and parliamentary candidates, and is the only party without the leader’s name on the ballot paper. There was no primaries process in any of the other parties. During the primaries, both candidates utilised the web, with the party gaining a very strategic advantage online; between June and December 2012, they were the only political party with a presence online, dominating cyberspace – and it’s a presence that continues to grow and deliver, both online and off. The PD’s primaries database stands at an impressive three million contacts (out of an electorate of about 50 million, with turnout expected to be at least 40 million), a small army the party have re-energised and mobilised in the general election. Detailed analysis of the primaries database has been undertaken, from people’s professions to backgrounds to reach, knowing where to go, what to ask of them, and how many voters each can contact in turn. That’s three million, many of them recently engaged, spreading the message ever further. The party started building D-Net and Sparta – which are bearing fruit in the election (more on both later this week) – during the primaries campaign, identifying and tracking the brightest and most influential individuals, with an eye on the online war in the generals. It wasn’t just the leader that was picked in the primaries, the composition of regional party lists (of the kind UK voters use in European elections) was decided by the three million, each choosing one male and one female, opening up the normally closed lists. Not only more women but more young candidates were selected in the primaries. The primaries enable the party to go beyond the system, a PD source told Left Foot Forward, and are the best way to “instigate generational change, giving the youth opportunities as the oldies step behind”. They also fight personalism, Bersani saying “personal parties are the cancer of democracy” – and after two decades of Silvio Berlsuconi on the scene, it’s easy to see why. They engage the public, are more democratic, and give the parties more contacts than they can dream of – and whichever UK party embraces them could well enjoy the electoral rewards the PD are about to reap.